PAGASA Pres. 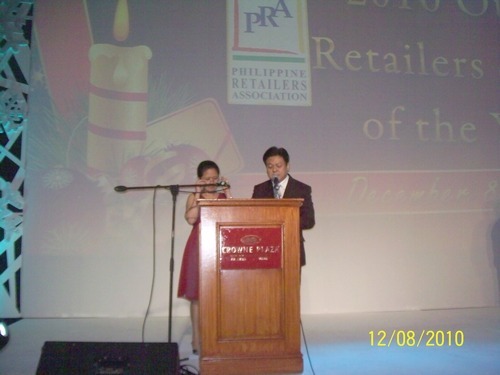 STC was a Prese ntor at the 2010 Retailer of the Year and Shopping Center of the Year Awards held at the Crowne Plaza and organized by the Phil. Retailers Assn. With him is the representative of Robinson’s Dept. Store. Rustan’s Bievenido Tantoco, Sr. was awarded the 2010 Lifetime Achievement Award for Luxury Retailing.